I love to travel. And that’s one thing that I’m very thankful for 2010. A year that I’ve been to places and loved them. But before 2010 ends, I’d like to highlight the places that I’ve been to this year. 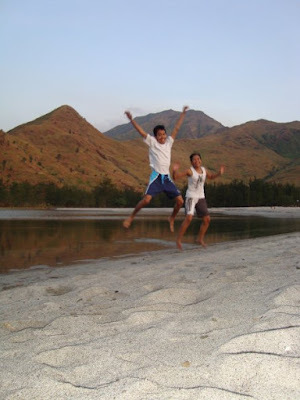 My 2010 started with Island Hopping at Zambales with my best. It was our first time travel and first time camp. It was a fun trip. A good start of my travel this year plus met a good hearted man who took care of our island tour. Because of some inevitable downs in my life, our trip followed after 4 months. Me and my HS friends have been to Cagbalete Island for a summer getaway! It was a memorable and fun-filled vacation. The island was peaceful. Truly paradise. It was last 2009 when I did a solo trip to Sagada, and after a year I came back but with a different route this time. We took the Banaue-Sagada-Baguio route. It was my first time in Banaue. Banaue is famous for their rice terraces. Due to time constraints we haven’t discovered the place that much, but I will someday. We went to Sagada after our sight seeing experience at one of the Banaue Rice Terraces. Sagada was still the same. It was my sanctuary. 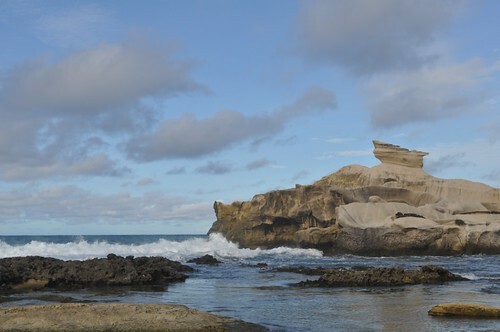 It was peaceful, enticing and adventurous place. My experience was beyond compare. 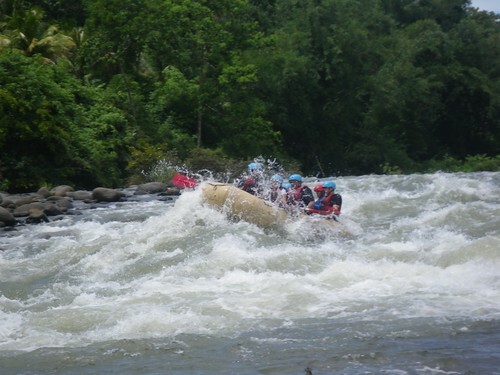 Cagayan De Oro’s white water rafting experience, my most exciting ride this 2010. The ride was thrilling. It was fun experience. When in Cagayan De Oro, one must experience Camiguin Island. It is truly a beautiful island. So much things we experienced. 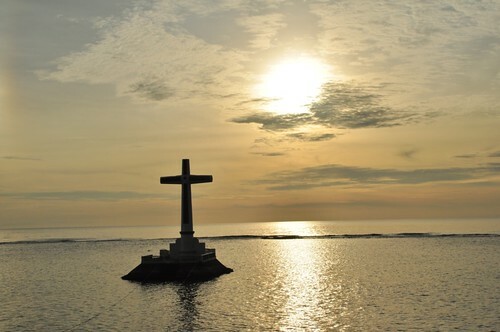 But the destination that captured me most is the Sunken Cemetery. Its picturesque view at sunset. And my last trip this year was my Ilocos travel. It was my first time in Ilocos. It was historical and surprising. 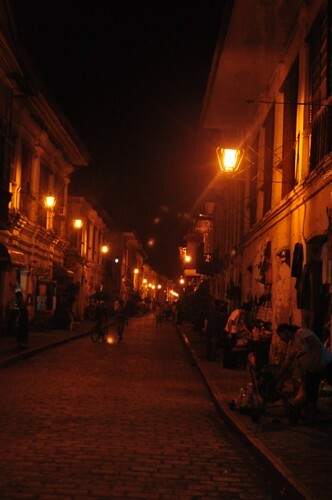 Though Laoag, Vigan and Pagudpod are 2 hours away from each, it was worth visited. We only had 3 days spent on these places yet it was an amazing trip. Though I only travel few compared to other travel bloggers out there, my travels were incomparable with my own discoveries and memories. Thank you 2010, and now let’s welcome 2011 positively and with good vibes. Countries to conquer and places to discover. Love, peace and passion. Welcome 2011! Previous story Christmas is Here! @thepinaysolobackpacker, Sana nga and more panggastos for travels. hehehe! Ano ba yan? Puro travel blogs nadadaanan ko. Puro pa naman travels nyo this year ang feature. Hay, nai-inggit ako. Lol! I got a lot of info from your Ilocos trip.. Soooobrang salamat! More travels and explorations this 2011! Wow Marx! COngrats. Makati din pala ang paa. hahaha! Cheers to 2011. Mas marami pa sanang travel. Grabe na-oontian ka pa dyan ha. Nahiya tuloy ako sa mga travel ko. Happy New Year!